two congo greys, both tame and talking. two cages plus parrot play stand. toys, dishes food etc. both have different personalities. one very outgoing and would suit a busy household and lots of attention, likes to dance and show off. the other more reserved, much more low maintenance and would suit a less active household. both birds will make great long term companions. would prefer knowledgeable homes. been in our family for many years. recent medical issues force reluctant sale. price is PER BIRD AND CAGE. buyer must collect, or at least be able to view birds in their own home. 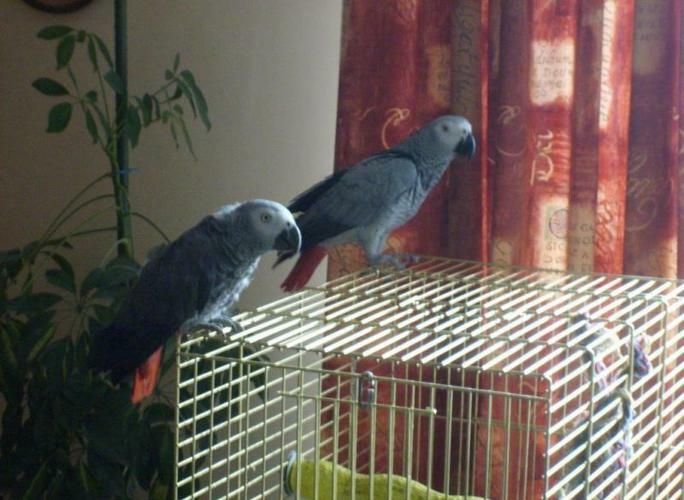 Want a African baby or a African grey Congo age between 3-4ys old looking for a hand fed Grey in Ala.